Chico, originally uploaded by Goggla. 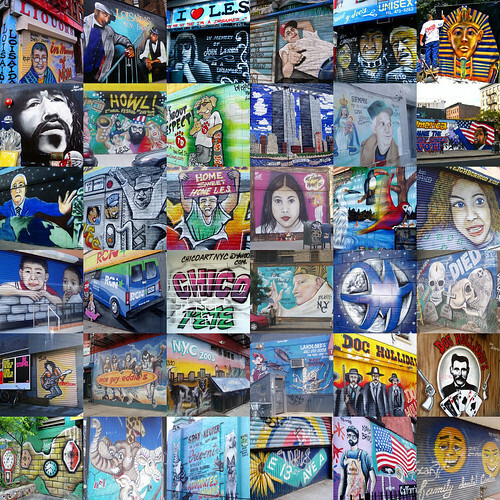 One of the very first memories I have of the East Village is of a Chico mural in Alphabet City. Vibrantly colored, his pieces celebrate the neighborhood, drawing out its best qualities in locations that can sometimes seem downtrodden. There are the murals that advertise local businesses, those that liven up a vacant wall, and then there are those that memorialize lost loved ones. These are my favorite as these give us a glimpse of the city not widely known: its vulnerability and tenderness.